My parents met at Leyland Powers, a school of theater and broadcast in Boston (long gone, I'd guess -- Google comes up with nothing). They drove across country and then took a plane (shown) to meet my maternal grandparents in Hawaii. On the way, they got married in Nevada. 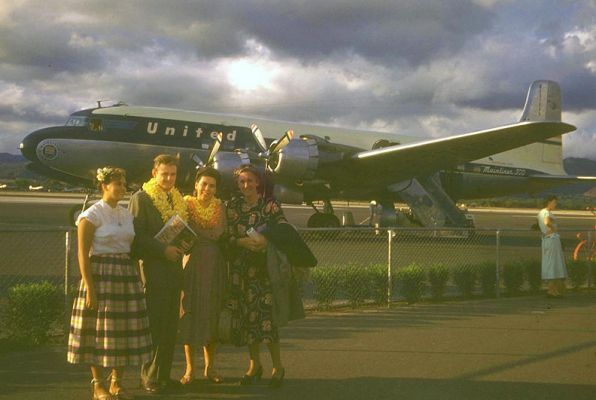 This photo shows Birdie (my aunt), my father, mother, and grandmoter at Honolulu Airport, summer 1948. I can imagine it was an interesting arrival.